Recently, Beyoncé gave every black woman (including me) life with Lemonade, a visual album that was the ultimate testimony to the relationships in her life from her father to her mogul husband, Jay Z. For the most part, the A-list couple remains airtight about their private life; however, since the infamous elevator incident there has been plenty of tea spilling on the couple's relationship status. And while Bey didn't confirm divorce, she did imply that there may have been some extramarital affair issues along the way, including but not limited to "Becky with the good hair." Nonetheless, the lyrics resonated with every woman, because at one point or another we've all felt the emotions depicted in many of Lemonade's tracks. The album united women in their simultaneous love and disgust for the male species because when we heard them we could definitely put a face to each song. Beyoncé went where we've all wanted to go and said what we've all thought. But what happens when you let yourself go all "crazy in love" as the Queen did throughout the entire album? I took it upon myself to find out. 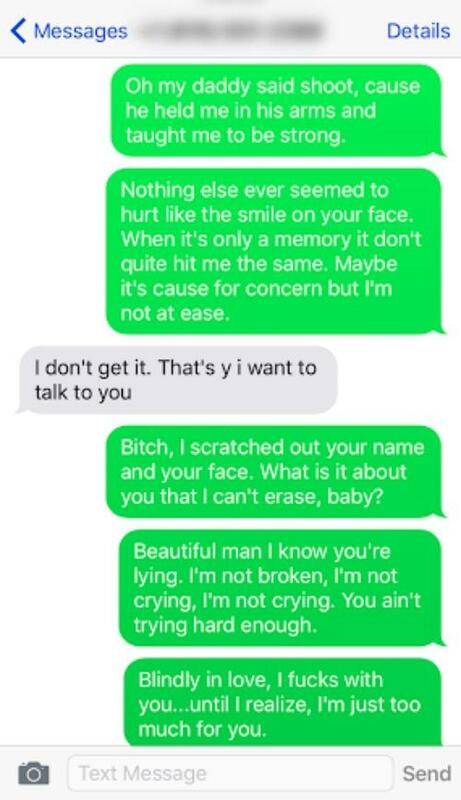 By texting my cheating ex-man nothing but Beyonce Lemonade lyrics. There was no need to write my own sh*t because f*ck it — Bey said everything I needed my ex to know. So yesterday, I popped up back into his life several months after he cheated on me and this, my friends, is what an average black girl reciting batsh*t crazy, raw Lemonade emotion looks like. I giggled out loud as I typed my favorite, most applicable lyrics into my phone. Truthfully, the reactions weren't nearly as hilarious as my self-conscious calling myself crazy. He CALLED me. 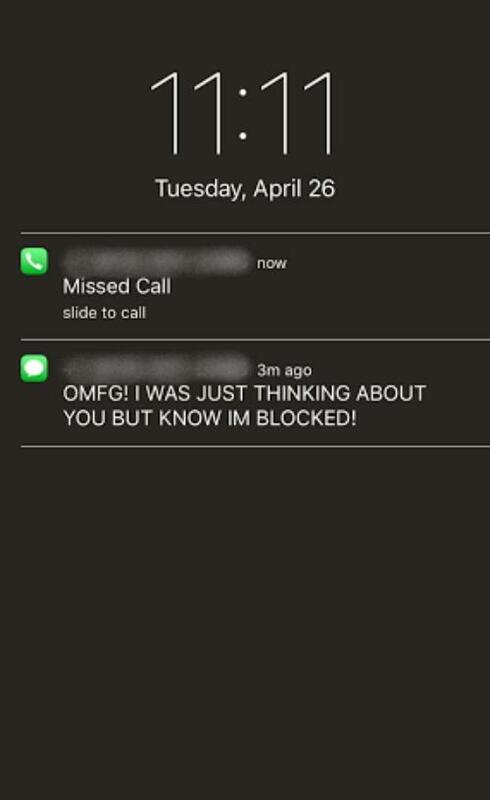 I ignored it and kept texting. 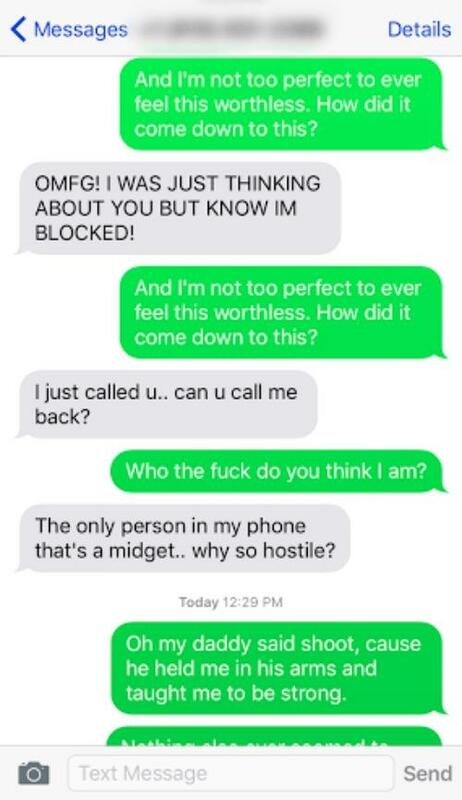 Once he reached a point where he'd seemingly given up and stopped paying me any mind (he probably got suspicious), I decided to return his call and see what he had to say that was so urgent. Quite frankly, I had some old wounds that needed licking and this was a fun way to get closure — or so I thought. In the end, it may have reopened a few of the wounds instead of healing them. When I called, he told me that he continued to think about me after we parted ways — that time and time again he had considered showing up to my house, to grovel for my forgiveness. But in the end he knew that he lost the right to even dare to darken my doorstep. After all the lies he had told me, this conversation felt different — it felt like the truth. Ever doubtful, though, I tried to hold onto the fact that lies always sound beautiful coming from a storyteller. Nonetheless, I didn't let on that inside I was bending at his will, with every emotional confession of regret. Keeping my stern tone, I continued to make assh*le retorts, trying to maintain composure. After sitting in empty silence, I decided it was for the best to end the call because after all he has done to me — the lies and the deceit — I still care. I still look to his explanations for hope and to help release the pain he once caused. But unlike Bey and Jay, this road to love doesn't lead to anything but hell — so I burnt it down my damn self.